Editor’s note: In this story our writer interviewed women in a maternity health clinic in Herat Province. I walked around the clinic, carefully looking for women who would talk to me. They were all pregnant and many of their faces showed signs of pain. These are the faces of women who have nobody to clean their tears or soothe their pains. All eyes were watching me. The clinic’s doctor agreed to let me interview two women. I knew it would be difficult to find someone willing to talk about her personal life because so many of them were threatened by husbands who tell them they have no right to speak—with anybody. I chose two women, one who claims she has a good life, and the other who expressed her pains to me. First I talk to a woman who tells me about her life with tears pouring from her eyes. Wounds on her face show she has recently been beaten. She cannot tell me much, she is afraid and cannot say her name to me, but she talks about her life. She does not tell her age; she says only that she was the youngest in her family. She is pregnant with her ninth child. She has eight children who are all girls, and in three months her next child will be born. She says her husband’s family forced her to continue to become pregnant to give birth to a boy and she says this time she knows she will have a son because the pregnancy feels different from the other times. All of her children were born at home and she came to the clinic only because of bleeding. Her husband had beaten her. She says if she does not bear a son her husband will end their marriage and will abandon her with her daughters. For a moment, I wonder, why must Afghan women live like this and why do we have no good leadership for our country? Is It a Good Life? My other interview is with a more optimistic woman named Zarmina from Zeyaratjah village in the Guzara district. She has no apparent injuries. She says she has three children, including two boys and one girl and she is pregnant for the fourth time. She didn’t want to be pregnant, but she says it is because of her in-laws. She says her life is not bad, but her mother-in-law constantly argues with her because she wants a very large family. They live with four brothers-in-law who have six wives among them and her mother-in-law is encouraging her husband take more wives and have more children. She says she has good health and a good life. But I wonder. Is it true? Is this a good life? What an interesting project. I wish you could have interviewed all of the women in the clinic. The first woman’s story made me cry. No one should ever beat a woman! And the gender of the baby is not the woman’s responsibility. I pray for the day when a girl baby is just as wonderful as a boy baby. 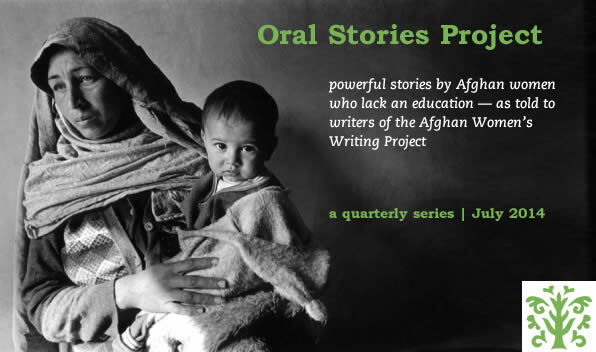 The power struggles in Afghan families makes me sad. Women need to stick together and help other women. Women are the key to the future. I hope your generation can speak out and help improve the situation for women, men and children. Keep up the great work! This is really sad. I hope that someday the leadership in your country will be aware of this violence against women. Only then it will be a good leadership as you want it to be. The government must start projects to support women and to protect them from any sort of violence. Strong women are indispensable for a strong society, when will they understand that? Thank you for this interesting and sad interview. Maybe someday they will understand it if you continue writing… Insha’Allah.